Bank GK, Latest GK, Reet Exam GK, Rajasthan police Exam Gk, And Date Wise 30-12-2017 GK Notes Delhi Police Exam GK, SSC CGL Clerk GD Exam GK, HTET Exam GK, CTET Exam GK, PTET Exam GK Questions. Rajasthan General Knowledge And political-gk, Rajasthan police, SI exam Part –35 GK And jobs, RAS Exam Study Material, Current GK And Read more: Important facts for the Competitive exam in Rajasthan. And Rajasthan Gk Question. 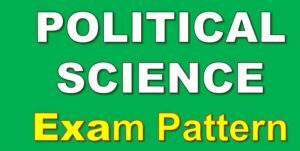 Exams and All subject Wise Notes and Math, Hindi, English, History, Political Science, Psychology, Sanskrit Related Study material and Rajasthan General Knowledge (GK) Question for Govt Exam preparation like RAS, IAS, UPSC, RPSC, 1st, 2nd, 3rd Grade Teacher, REET CTET, LDC, SSC CGL, IBPS, MBA, CAT, MAT, SBI-PO, RBI And Railway, Indian Army And all competitive Exams. Question (1) Who is the Chairman of the Delimitation Commission? परिसीमन आयोग का अध्यक्ष होता है? Question (2) Who has the right to give the status of a national or regional party to different political parties in India? भारत के विभिन्न राजनीतिक दलों को राष्ट्रीय या क्षेत्रीय दल का दर्जा देने का अधिकार किसको है? Question (3) When the by-election done? Question (4) what year was the first general elections held in India? भारत में प्रथम आम चुनाव किस वर्ष किए गए थे? Question (5) When was the first time women voted in India? भारत में पहली बार महिलाओं को मताधिकार कब प्राप्त हुआ? Question (6) Who has the right to appoint and appoint a Chief Election Commissioner? मुख्य निर्वाचन आयुक्त की नियुक्ति तथा उसको पदच्युत करने का अधिकार किसको है? Question (7) The service condition of the commissioner and the terminal determines the tenure? निर्वाचन आयुक्त की सेवा शर्त तथा कार्यकाल निश्चित करता है? Question (8) Sarkaria Commission is related? Question (9) What is the subject of the concurrent list? समवर्ती सूची का विषय है? Question (10) Which is not on the state list? कौन राज्य सूची में नहीं है?